Raj RO was established in the year 2005. 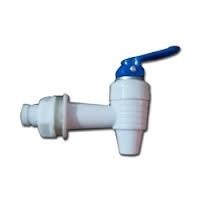 We are leading Manufacturer and Supplier of 6000 lph R.O Plant, Ultra Filtration Plant, RO Tap etc. Being a highly effective, lean and fast-moving organization, we are highly instrumental in providing an extensive array of RO Spare Part. The offered parts are manufactured with the help of supreme quality material and cutting-edge tools in adherence to set industry norms. These parts are widely used. We are instrumental in providing our clients a complete range of RO Plant. Our provided RO plant is easy to install, safe to use and provide mineral water at nominal price. This RO plant is developed using finest material and sophisticated technology. Clients can avail this RO plant in varied specifications for fulfill their varied need.